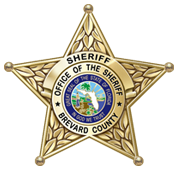 On February 4, 2019, at approximately 1:44 a.m., the Brevard County Sheriff’s Office responded to a disturbance complaint in Cape Canaveral. The caller advised that he wanted an intoxicated female removed from his residence. Upon the arrival of deputies, the caller pointed out the woman who was now inside a vehicle in the parking lot. Deputies approached the vehicle to speak with the woman at which time she placed the vehicle in reverse, backing up at a high rate of speed, striking a vehicle that was in her path. The woman then immediately pulled her vehicle forward driving at the deputies who were in between the parked vehicles. One of the deputies fired one shot striking the vehicle. The suspect vehicle then traveled onto the roadway before crashing, whereupon the driver fled on foot. The suspect was apprehended after a short search. The suspect, 42-year-old, Mariah Dusak, who is listed as homeless, was arrested and charged with DUI, DUI with Property Damage, Leaving the Scene of a Crash with Property Damage, Fleeing and Eluding an Officer, DWLS with Knowledge, Criminal Mischief, Violation of Probation and Aggravated Assault on a Law Enforcement Officer with a Deadly Weapon. Dusak is currently on felony probation for a 2018 conviction of Battery on a Law Enforcement Officer. 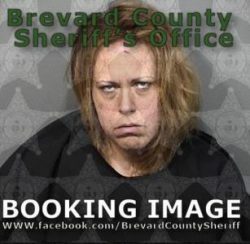 She is currently being held at the Brevard County Jail on a No Bond Status. 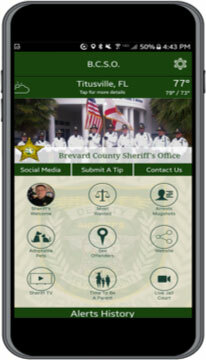 The Deputy has been placed on paid administrative leave as is customary in officer involved shootings. Once the investigation has been completed the findings will be submitted to State Attorney for review. There were no injuries sustained by any involved party.